Ignacio Sarabia is one of the top and most experienced athletes in the World Cycling League who has ridden professionally for 7 years on the road, including with the World Tour team Movistar for two seasons in the thick of the top European peloton. 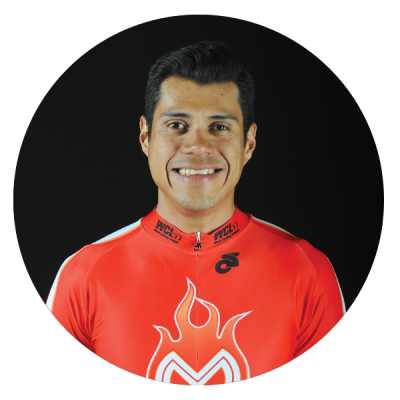 Ignacio is a two time National Mexican Road Champion, and multi-time Pan American Championship Medalist in both road and time trial. His incredible strength and experience will be tough competition for the Americans in the WCL endurance events.